The large lotus pond that was once a part of Sra Pathum Palace has been transformed into Sra Bua by Kiin Kiin today. 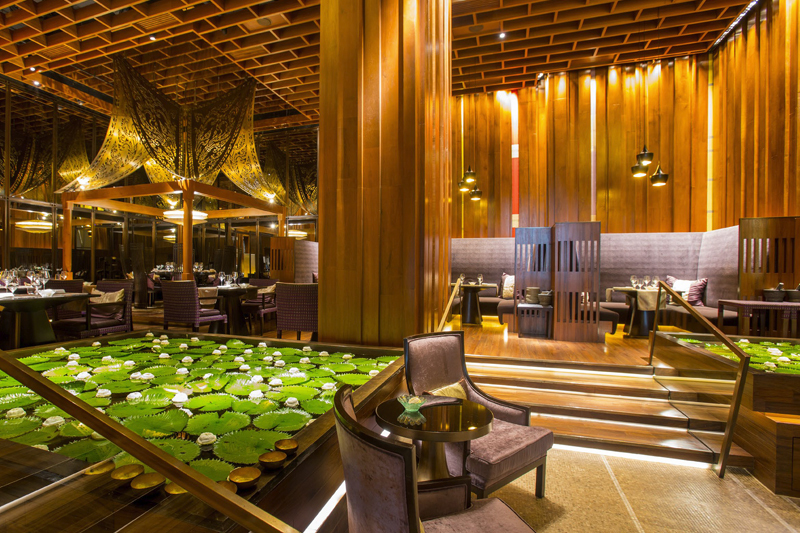 Located inside the Siam Kempinski Bangkok hotel, this one-Michelin-starred restaurant is modern in style and serves impressive Thainess-inspired dishes. Blending the art of Thai cuisine with novelty and unique cooking techniques, Sra Bua by Kiin Kiin has wowed customers from all over the world. Its creative menu is updated every season, with The Winter Journey set being the highlight of Thailand’s 2018 winter. 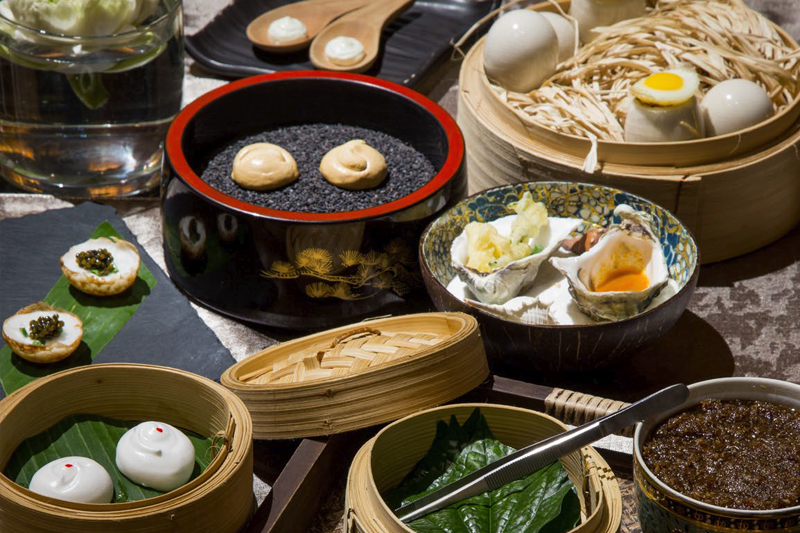 Michelin-starred chefs Henrik Yde-Andersen from Kiin Kiin in Denmark’s Copenhagen and Chayawee Suthcharitchan – who heads Sra Bua by Kiin Kiin’s chef team – have created this tempting and inspiring set. The Winter Journey begins with creative street-food bites such as Miang Kham, Thai coconut-rice pancake and meringues. 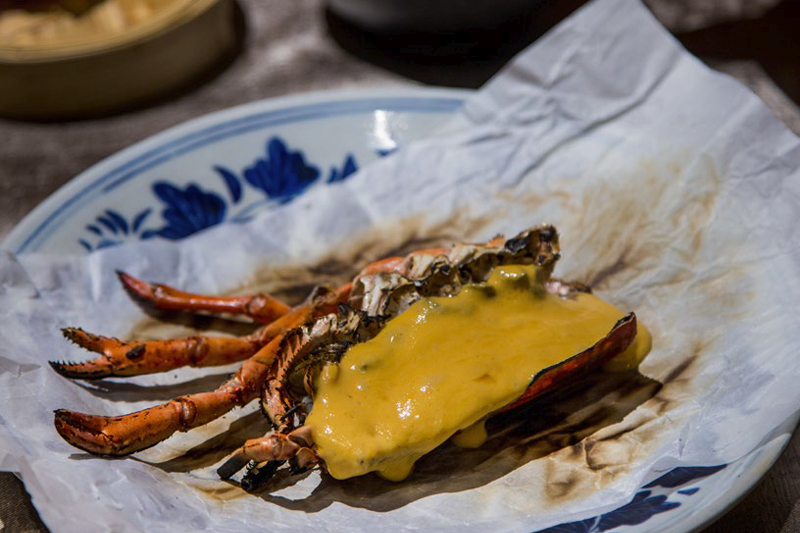 It is hot and mellow with a combination of grilled lobster head, ginger, lime and prawn cracker aioli. This bowl includes some fun gimmicks too. Cooked ceviche style, this dish delightfully presents quality wagyu beef, cucumber jelly and avocado puree. Customers can choose the level of spiciness. This dessert is served alongside seasonal fruit. For this winter, the fruit of choice is peach. 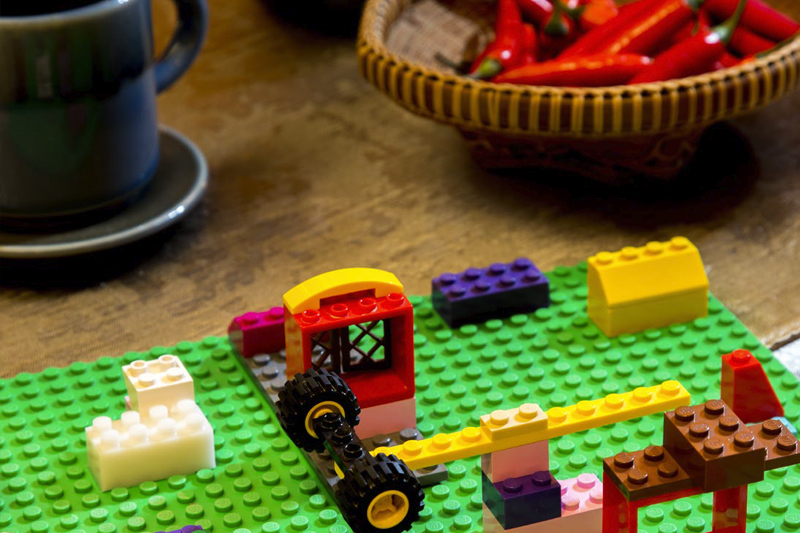 Items on the dish look like LEGO pieces. Customers can have fun checking which pieces are toys and which ones are chocolate-chilli-jelly. It is served with coffee or tea. เดินทางสู่การสัมผัสมื้ออาหารประจำฤดูหนาวของ ห้องอาหารสระบัว บาย กิน กิน ได้ที่โรงแรมสยามเคมปินสกี้ กรุงเทพฯ เปิดบริการ 2 ช่วงเวลา ได้แก่ช่วง 00-15.00 น. It is located at the Siam Kempinski Bangkok. Opening hours are from 12.00-15.00, and from 18.00-24.00. Call 0 2162 9000, srabuabykiinkiin.com.